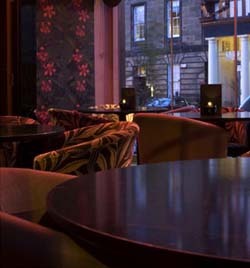 JLe Di-Vin is Edinburgh most elegant wine bar and this is not said by us, but by the thousands of people who visited it. Local inhabitants can relax in a great ambient, drinking a glass of wine, after a rough day at work. Whether you come here for a couple of drinks or for a light meal, you will definitely have a good time. 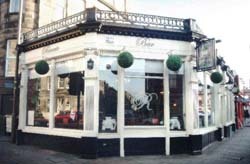 For more details about Le Di-vin, visit www.ledivin.co.uk. Even the name of this pub emphasizes the state of mind you will have once you visit it. The Reverie is a great pub situated in the Southside of Edinburgh, which stands out by its great selection of wines, great location, tasty food and live music. Unlike other pubs and bars, Reverie has daily offers, which suit every budget and make visitors stay longer and enjoy their time. At Treacle, you can only know one thing for sure: that once you step into the bar, you will definitely have fun. The team spreads positive energy and seems to have as much fun as the others; they will welcome you and treat you like a friend. The vintage furniture and the brick walls contribute to Treacle's special aspect, taking you back two hundred years in time. Pay this place a visit and you won't be disappointed! 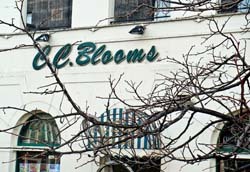 CC Blooms is more than just a pub. This is the place where gender, status and sexual preferences are less important than the need for fun! Usually frequented by the LGBT community, CC Blooms provides people with the necessary attitude and state of mind. Cheap drinks, great ambient, and a smiley staff are the necessary ingredients for an unforgettable night. 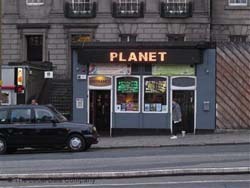 Planet Bar is a great gay bar with a great atmosphere. 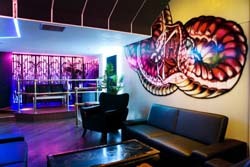 The staff will make you feel like home and entertain you all night. Here, you will find a paradise of drinks, a great diversity of styles and personalities and a big group of persons gathered for the same purpose: of relaxing and having fun. The 80's and 90's music contribute to the great atmosphere. 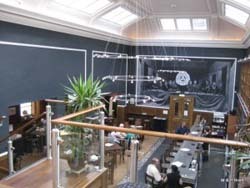 For many people, Sygn is the best cocktail bar in Scotland. For others, it is just the best cocktail bar in Edinburgh. Either way, Sygn remains a special place where people come not only for the tasty cocktails at reasonable prices, but also for the great atmosphere. One of the things describing the drinks at Sygn, is that they always have a slightly different taste, so you will always be surprised. Are you wondering about the relation between the circus and this pub's name? Well, just like the circus, Electric Circus is an entertaining place with a colorful aspect and a lively atmosphere. You had a rough day at work and you need a dose of fun? Don't think twice! This is the place where you should be, where all your problems will be chased away immediately, being replaced by love and joy.